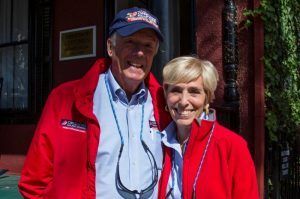 Our headquarters team works directly with Offshore Sailing School owners Steve and Doris Colgate, managing our branch locations, our marketing, sales and finances. Everyone on our management team is dedicated to giving Offshore Sailing School customers the very best sailing education and a most rewarding experience that lasts a lifetime. The Colgates inspire all of us to give 110% to the art of teaching sailing. Their passion for delivering the best on-water education in fun settings started in 1964 when Steve Colgate founded Offshore Sailing School in New York City. On the recommendation of her then employer Yachting Magazine, Doris Colgate met Steve while taking a Learn to Sail and then Racing course at Offshore Sailing School. The rest is history. Read their complete story and the reasons for their dedication to sailing here. You can reach the Colgates on their direct lines: Doris at 239-985-7511 or Steve at 239-985-7505. Emails are Doris@OffshoreSailing.com and Steve@OffshoreSailing.com. Bryce Jackson has over 18 years of senior management experience overseeing complex multi-million dollar operations of U.S. Government and foreign security and risk management contracts in conflict-prone areas overseas. He developed his operational management and leadership skills while serving in the U.S. Marine Corps from 1996 to 2004 in highly specialized areas involving anti-terrorism while a member of the Fleet Anti-terrorism Security Team Company (F.A.S.T. Co.) and during the opening of the US Embassy compound in Baghdad, Iraq, as well as other operations throughout the Middle East, North Africa and Afghanistan. Upon transitioning from the U.S. Marine Corps into the private sector Bryce was recruited by Global Strategies Group, a British security and risk management company, to manage complex contracts in support of activities in Iraq and Afghanistan for the U.S. Army Corps of Engineers, the U.S. Department of Defense, the U.S. Drug Enforcement Agency, the U.S. Department of State, USAID, and the Governments of Japan and United Kingdom. His private sector clients included Chemonics International, International Relief and Development, Deloitte, PAE and Louis Berger Group. Bryce’s senior management experience included road construction projects in an active combat zone, standing up an entire airport security apparatus for the Kabul international airport in compliance of ICAO rules, and counter-narcoterrorism, to name a few. In 2012, after more than 10 years working in conflict and post conflict countries, Bryce, who is a Fort Myers native, and his wife, who was also working in the same region as a senior advisor to governments in transition, decided it was time to move back to the U.S. 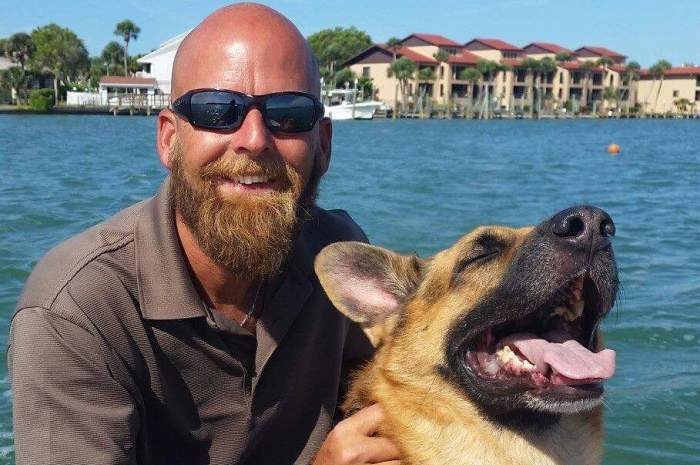 They settled back in Fort Myers with their German Shepherd dog who was adopted in Kabul, Afghanistan. 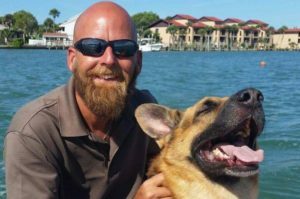 While continuing to take intermittent short-term contracts overseas, Bryce began working on attaining his USCG OUPV license and in doing so logged more than 3,200 nm under sail since 2014 and countless hours fishing the flats since returning home. Over the past few years Bryce has been intermittently repositioning yachts of all sizes and type all the while taking on short-term overseas related management projects. His direct line is 239-985-7531, email Bryce@OffshoreSailing.com. Beth has more than 25 years’ experience with large corporations and entrepreneurial businesses. She held the VP, Corporate Marketing position with premium beverage manufacturer and marketer, Hiram Walker/Allied Domecq, for eight years, and was General Manager of Buick’s national promotion agency, Momentum Detroit. At General Motors Eventworks and R*Works, she managed sports and entertainment partnerships and integrated marketing programs with national media, The Walt Disney Co., Warner Bros. and Sony Motion Pictures, along with GM’s Hollywood product placement program. While leading Campbell-Ewald agency’s Tours, Promotions and Events Group, Beth spearheaded the team managing relationships with the Olympic Games, MLB, Nascar, the Country Music Assn., celebrity endorsements and sponsorships with clients such as, Chevrolet, the U.S. Navy, U.S. Postal Service, Kaiser Permanente, and Carhartt, executing more than 3,000 event days a year. After relocating to Southwest Florida with her husband in 2010, Beth managed sponsorships for the Imagine Solutions Conference in Naples, and owned her own consulting business providing marketing, writing, project management, and event services to the hospitality and tourism industries. Beth currently serves on the Board of Directors for CHEF: the Culinary & Hospitality Education Foundation of Southwest Florida, providing scholarship funds for area students to pursue their degrees and careers in the culinary and hospitality industry. A few of her most rewarding professional experiences include, owning an award-winning Select Registry Bed & Breakfast Inn in Portland, Maine, named the Best Place to Stay by Bon Appetit magazine; pitching Chevrolet’s film integration and promotion to director/producer Steven Spielberg; and donating her time as Head Writer for the annual Naples Winter Wine Festival, benefiting Naples Children & Education Foundation. Her direct line is 239-985-7516, email BOliver@OffshoreSailing.com. Please see Our Faculty page for Branch Manager profiles.